Samer is currently the VP of CE-Ventures, a division of the Crescent Group that endeavors to create and develop innovative businesses that generate a sustainable social impact and address economic, social, and environmental challenges. This is driven by the strong belief that such a triple bottom line approach to doing business is the most effective way to generate shared value for all stakeholders. Samer comes from an entrepreneurial background with more than 18 years of experience in the start-up space across a variety of industries, from entertainment to F&B, e-commerce, media, and healthcare in Canada, the UAE, Saudi Arabia, Oman, and Singapore. 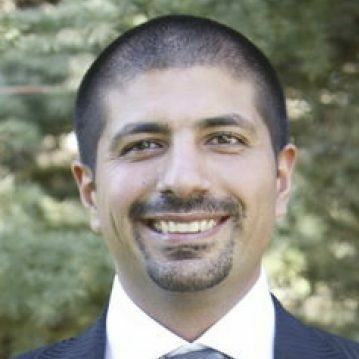 Prior to joining Crescent Enterprises in 2014, Samer was the COO of Groupon Middle-East where he was instrumental in building the company to its current leading market position. Samer is a member of several startup communities and organizations and provides mentorship on a personal level as well as through business competitions, universities, and other organizations such as the Khalifa Fund. He is also a member of the Dubai Angel Investors’ investment committee.